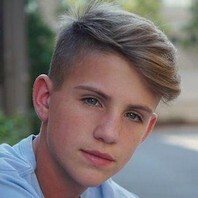 Born Matthew David Morris, he is a popular rapper whose music has been featured on shows such as The Today Show, The Wendy Williams Show, the Dr. Phil Show, and EXTRA. He has earned over 11 million subscribers and more than 5.1 billion views to his MattyBRaps YouTube channel. He has another 3 million subscribers on his MattyBVlogs YouTube channel.